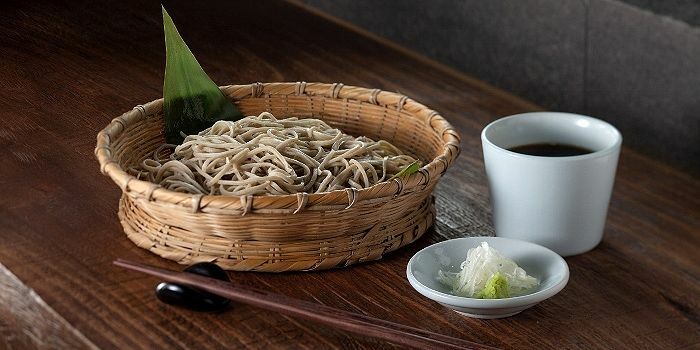 When you step into Kyoto Joe, you might catch yourself wondering if you’ll be kneeling on a traditional tatami mat or sitting in a plush cushioned chair. Shin-hanga style prints peek out from between modern wood-and-mirror wall panels; capturing the essence of what the team at Kyoto Joe has so successfully achieved: a perfect balance of tradition and modernity. We definitely believe that it’s this oft-elusive balance that draws the crowds, because the happy harmony of modern flair and traditional Japanese technique goes beyond the décor and permeates the cuisine. 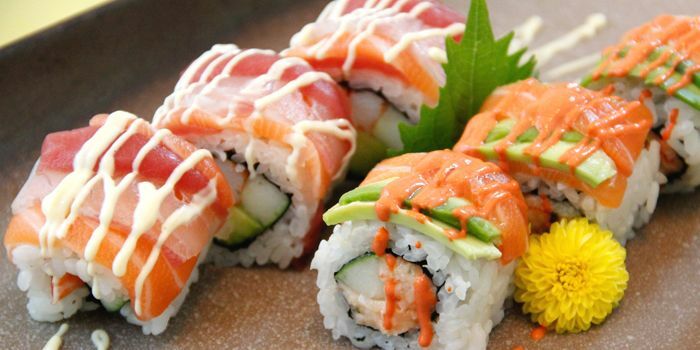 The Mexican Roll for example, is a signature offering of avocado and jalapeno wrapped in cream cheese. If you’re after heartier fare, the Rock Shrimp Gyoza, served with Spicy Balsamic Vinegar is another excellent example of how traditional meets modern. 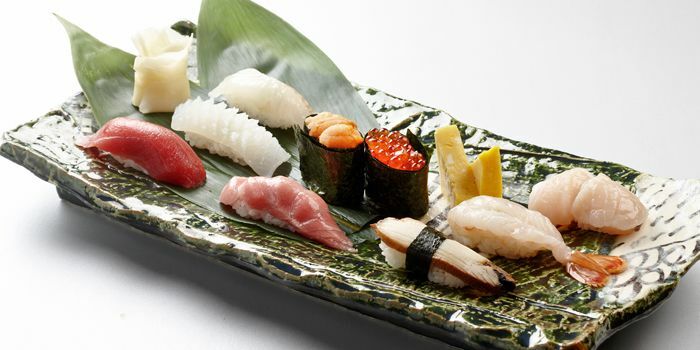 Best 5 ways to eat Gindara In Japanese cuisine, “gindara” or silver cod, is often prepared as kasuzuke and grilled. Our Executive Chef Dow came up with new creative idea and offers diners a unique mouth-watering seafood experience. The silver cod themed menus are available at Kyoto Joe from now until end of May. 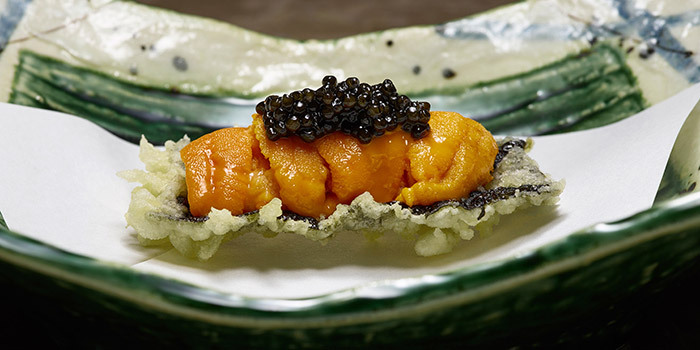 Dig in and enjoy with these five ways to eat Gindara. Gindara Namatsuke ($155) Lightly fried sliced silver cod until it crispiness on the outside and soft on the inside, this is fantastic combination of texture for an added culinary experience! Don’t forget to dip with this fantastic, taste-bud-awakening lime sauce. It’s specially made by Chef Dow. Gindara Sakura Miso Roll ($180) The roll was heavenly with deep-fried sliver cod rolled with seaweed and rice, sprinkle with sakura shrimp and topped with special homemade miso sauce. It is indeed filled with great combination of lip-smacking flavors. 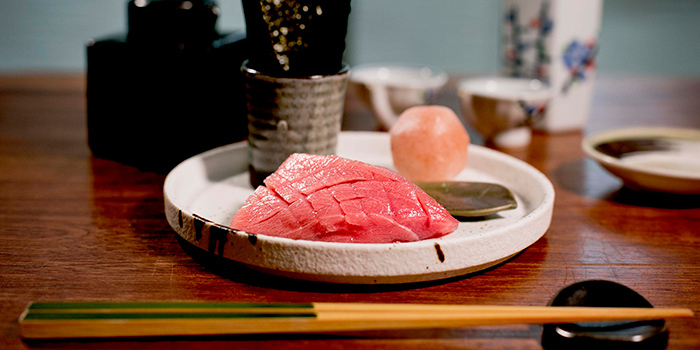 Gindara Yufu Yaki ($220) Moving over to the yakitori, gindara has always been a delicacy. The outer layer is cooked to a charcoal brown color with a delightful aroma. The tender soft and juicy silver cod was infused with the yuzu and greenhouse bean sprouts sauce which complimented it so well. Gindara Kara Age ($220) The mini food trend is super-hot right now! This gindara kara age is tiny and bite sized, just one small taste of an extraordinary food. Chef Dow cut the silver cod into small bite-sized cubes, then dips into the batter and deep fried to outside crispiness. Highlight of this dish is the special seasoned black pepper miso sauce. Gindara Gohan ($220) This flavorful Gindara Gohan should not be missed out. 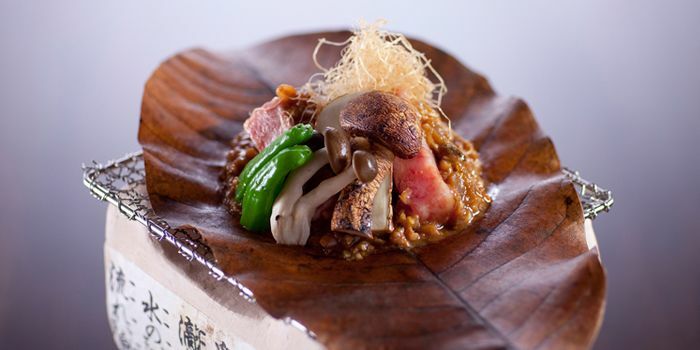 The rice is fried with matsutake mushrooms which are very aromatic and incredibly delicious. The Gindara Teriyaki that is grilled with the sweet and tangy flavor teriyaki sauce, the sliver cod is very smooth with an oily texture. You definitely can’t get enough of it. Reservations must be made 12 hours in advance. Please contact the restaurant directly for reservations of 7 and above.